Both amalgamation and merger are terms that are used in accounting and strategic management of companies or similar business organizations, and both represent a process in which the total number of business entities becomes reduced. However, this can be achieved through different ways, and that’s where the terms amalgamation and merger differ the most. While a merger usually occurs when the CEOs of two or more companies agree that consolidating their businesses will benefit all sides, and therefore the ownership of each individual business remains the same before and after the merger, amalgamation is a process in which one company, usually the one that is superior in every aspect to the other company, purchases, or in any other way obtains the ownership of another company. In many cases, amalgamation happens between one very large and developed company and many smaller ones that usually can’t succeed on their own because of the competition is so fierce due to the existence of the larger company in it. There are different types of mergers and amalgamations that can occur under different circumstances. Horizontal, vertical and conglomerate mergers all have distinct features (covered below), while amalgamations can have two different natures – nature of purchase and nature of merger. Both are discussed below. 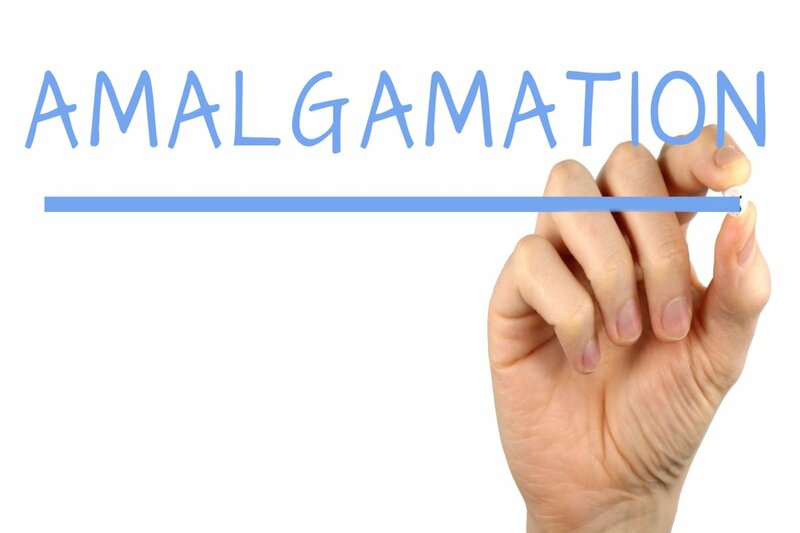 In a sense, amalgamation can be looked at as a sub-type of a merger. However, the term acquisition is a much better fit when talking about amalgamation, because that’s exactly what happens – a larger and financially more powerful company literally acquires a number of smaller companies. The new entity created in this way then preserves the identity of the company that was originally more powerful, so amalgamation can be considered as a way for a large company to further extend itself, reach new technologies, geographies and obtain new workers. It’s usually not that beneficial for the smaller companies, but there are cases when the smaller company cannot survive on its own and is therefore forced to be sold to a larger one. There are two natures of amalgamation – the nature of purchase and the nature of merger. The nature of purchase is what I’ve described above, where one company purchases another and stops its business. 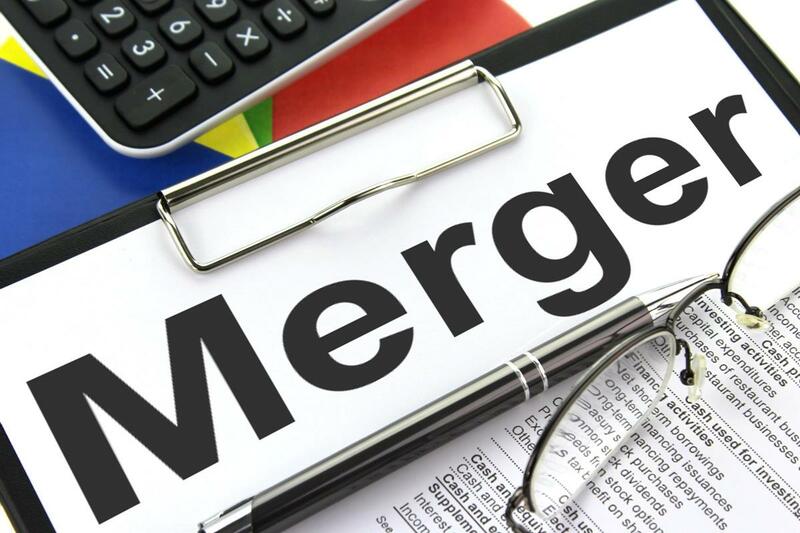 Amalgamation in the nature of merger is something much closer to a merger itself, where the business of the smaller companies continues and, in some cases, their shareholders might even keep their shares. A merger is a process in which the ownership of two or more companies becomes joined together and then spread equally across the owners of all the companies (as opposed to amalgamation where the ownership only goes to the owners of the larger company). There are many possible motivations for the execution of a merger, but they are usually similar to those for an amalgamation – technological and economic advancement and spreading of the covered territory. This allows for both companies to reap the benefits of consolidated and conjoined work. There are three types of a merger – vertical, horizontal and conglomerate. Horizontal merger is a merger of two or more companies in the same area of work and development. Vertical merger happens when two or more companies that deal in different areas of work start collaborating, for example, if one produces the resources that the other uses to make the final product. Finally, conglomerate mergers happen when the chiefs of both businesses want to diversify their work and activities. The motives for the execution of an amalgamation or a merger are different. A merger happens when two similar businesses want to consolidate for equal benefit, whereas amalgamation is just the act of one, financially stronger company, purchasing another one. A merger can be vertical, horizontal or conglomerate, while an amalgamation can be in the nature of purchase or in the nature of merger. In each process, a new entity forms that is a combination of the original participants’ identity. However, in the case of a merger, a completely new identity forms, while, in the case of an amalgamation, the identity is preserved to be the one of the largest company that started the amalgamation process. There are three main differences between the two terms, and those are the motive or spirit for each, the categories that exist for each term and whether the identity of the newly formed entity is a new one or an already existing one. Dr. Howard Fields. "Difference Between Amalgamation and Merger." DifferenceBetween.net. February 26, 2018 < http://www.differencebetween.net/business/difference-between-amalgamation-and-merger/ >.